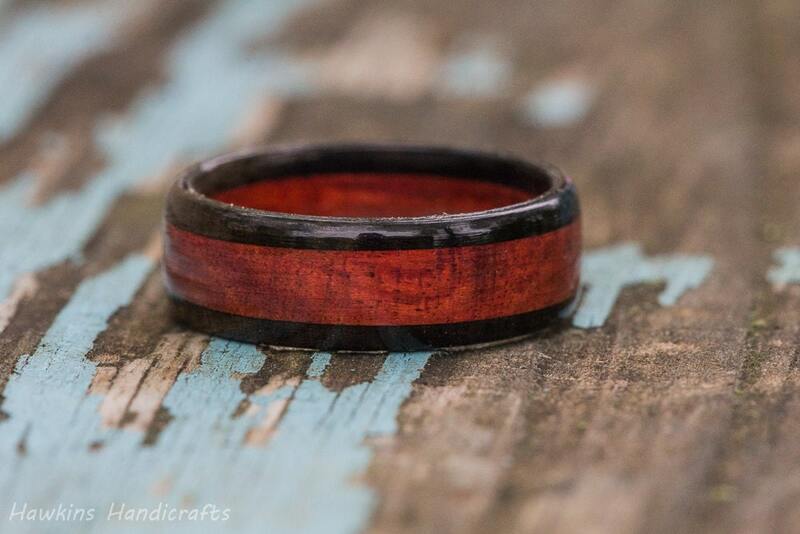 This is a hand-turned redheart and ebony wood ring custom made to your specifications - choose the size, width, and shape from the options to create your own handmade ring! 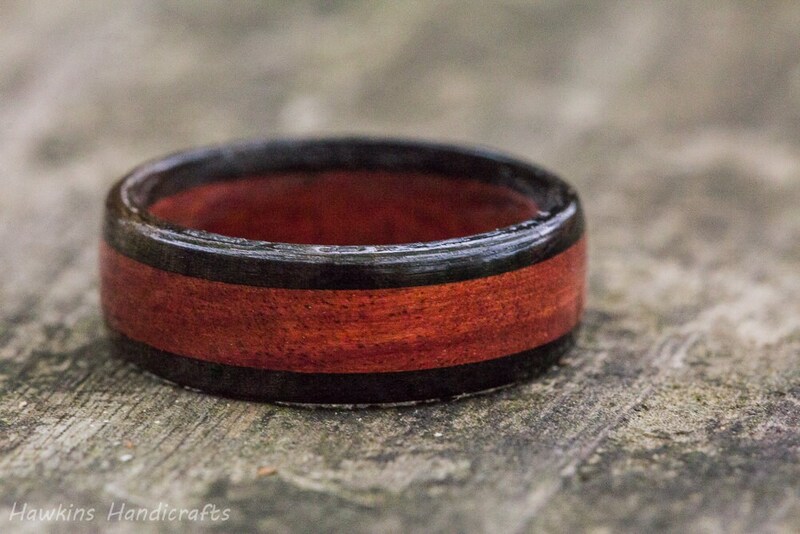 Your ring will have a similar look to those in the photographs, with bright red center band from the redheart bordered by the dark, solid black of ebony - but each ring is a unique piece of wood with it's own unique patterning with no two exactly alike! Redheart is one of the brightest naturally red woods, often being confused with a bright cherry stained finish. Ebony is a beautiful, solid black with occasional brown markings - the darkest natural wood available. With it's fine grain pattern and hardness, it is not only a beautiful wood, but it creates a very solid ring that can stand up to more abuse than the average wood ring. 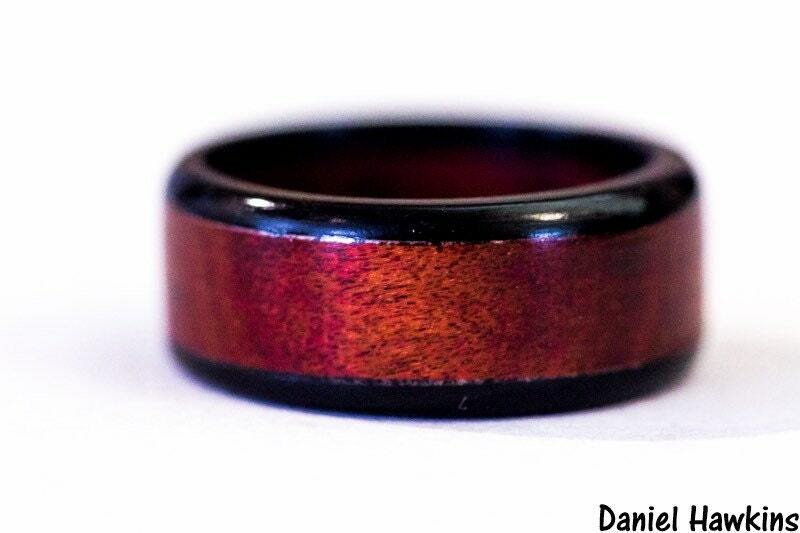 Combining the two woods creates a striking ring with quite a bit of character - a conversation ring to be sure! This ring was beautiful and delivered exactly as pictured! Thanks so much!